With powerful, impromptu effects and bold thoughts on the art of mentalism, this may just be the most important book that Matt has written yet! 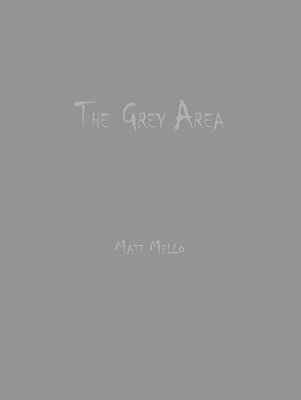 The Grey Area opens with three, in-depth essays on the topics of creating and presenting mentalism that feels and looks like the real thing. It also teaches a total of eight routines that showcase and practice the ideals set forth in those opening chapters. Nearly every routine is impromptu and prop-less, ready to go at any time. There Are No New Effects! - This essay approaches the "no new effects" mindset, and offers Matt's personal tips and tricks to motivate any performer to create and develop brand new routines. Providing Purpose - As it sounds, this essay covers the topic of creating mentalism and magic effects that have a real purpose. It expounds upon the thoughts of a true thought reader, and how they might truly use their abilities in the real world. The Art of Creating - This final essay teaches the approaches and processes that Matt goes through in order to create his effects. This chapter is overflowing with tips and ideas to boost and enhance your creative process. The Lies We Tell - An impromptu, bold approach to the liar and truth teller plot, without the use of logic puzzles, NLP eye accessing cues, guessing, dual reality, or any other classic method. The performer asks simple questions, and the group answers them. The participants can even choose to answer only in their mind, and you will always know who the liar is. Witchhand - This effect takes the concept from "The Lies We Tell" and applies it to a type of "which hand" effect. A person hides an object in their fist, while the rest of the group makes empty fists. You are then able to instantly identify who is holding the object, with no questions asked! The concept can also be used to present a more classic "which hand" effect. Metal Detector - The performer places a coin, a key, and a ring on the table. Three spectators each hide one object in their fist. The performer then becomes a human metal detector, and is able to correctly identify who is holding which metal object. No magnets or gimmicks are used. Motor Skills - We remove a participant's ability to write or draw, and we're then able to guess their word or drawing based on the scribbles that they've made. Nameless - The mind reader uses his abilities to get himself out of an awkward situation, and is able to guess a random participant's name. Profit 2.0 - This is an impromptu method to perform a version of my original "Profit" effect. The performer has a spectator count a stack of dollar bills, and is then able to swindle them out of a LOT more cash! Targeting: An Approach to Psychological Forces - As described in the title, this is a reliable approach to using psychological forces in a close-up or stage environment. Force Field - From the comfort of the stage, the performer is able to read the minds of audience members standing from their seats. It almost looks like the "Oracle Act", except we're reading direct thoughts that have never been written down or spoken aloud. We then take the effect further with TWO kicker endings. This is a showstopper, and as such, is best used as a closer to a stage show. 1st edition 2017, 45 pages.